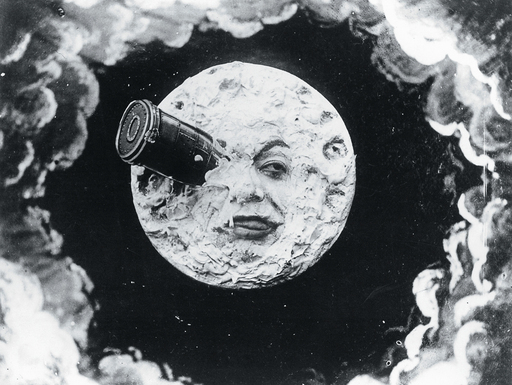 Liz: Yesterday, I watched the 2011 movie Hugo (based on the book The Invention of Hugo Caberet by Brain Selznick), and today I stumbled across blog posts on early movie projectors and automatons–both of which play a major role in Hugo. Funny how that happens. So I decided I to write about them. First, Hugo. 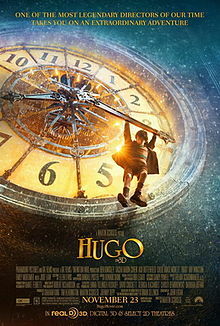 I enjoyed this film with its giant clock, 1930s French music, orphaned Hugo Cabret (played excellently by Asa Butterfield of Ender’s Game) who finds a home, its message that we all have a purpose, and, as mentioned, its early cinema history and automatons. Summary: Orphaned clockmaker’s son runs the clocks in a railway station in Paris while stealing food to survive as well as stealing mechanical parts to repair the automaton his father found in a museum. His life gets complicated when the toy maker he’s been stealing parts from takes his father’s notebook of automaton sketches. Hugo and the toy maker’s goddaughter try to get the book back, discover why it upset the man so, and avoid the railway station inspector, who considers it his duty to send orphaned kids to the orphanage. The story was moving and the history intriguing. Playing off his clock maker’s father saying “there are no spare parts in machines” and his own visualization of the world as one huge machine, Hugo says that each person is a “part” of the world. As a machine, the world would have no spares and, consequently, everyone in it would have a purpose. Hugo’s seems to be to fix broken things and people, like Papa George, the toy maker. A person who isn’t filling their purpose in the world would be miserable–would feel broken. Okay, on with the fascinating history. The Draughtsman-Writer at the Franklin Institute in Philadelphia, PA.
Automatons are mechanical men and were popular in the 1700s and 1800s. 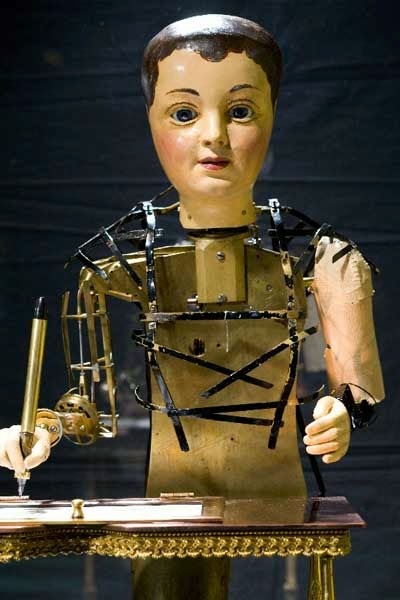 If you’ve seen Hugo, one particular historical automaton will sound familiar.The “Draughtsman-Writer” automaton boy sits at a little desk and writes and draws. He arrived at the Franklin Institute in Philadelphia, PA in a pieces, part of his body possibly partly ruined by a fire. His inventor was unknown. However, when put back together, this writer of three poems and artist of intricate drawings revealed his mysterious maker by adding “Written by the automaton of Maillardet” on the edge of its artwork. Maillardet was a well-known Swiss clock maker and mechanician. For more information, check out this blog post. Poem by the “Draughtsman-Writer” where he reveals his maker, Maillardet. Early cinema history. I can’t say much about this without giving away some of the story’s mysteries, so forgive me if you haven’t seen the movie or read the book. 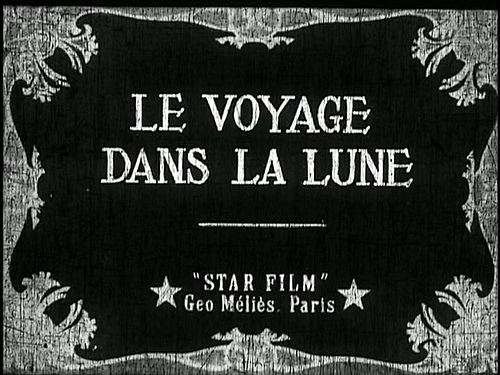 The story tells about the life of George Melies, a French magician turned movie producer. In 1895 he witnessed the Lumière brothers demonstrate their Cinématographe to the public. He tried to buy it from them, but they refused and he ultimately made his own machine and began screening movies and then producing and acting in his own. In 1896 his camera jammed, and from the resulting film, he discovered, essentially, how to photoshop, to manipulate time and space in films. He developed double exposure (La caverne Maudite, 1898), split screen (in which performers act opposite themselves [Un Homme de tete, 1898]), and the first dissolve (Cendrillon, 1899). It shouldn’t come as a surprise that a magician should be responsible for the illusions in movies. Moving picture technology actually has its roots way back in the 1830s. For more information on the early machines and inventors, check out this post (focusing the phantoscope and American movie history) and this post (a brief history written to commemorate the first commercial movie screening).